The Spectrum hard hat from Centurion is our most advanced hard hat, yet. 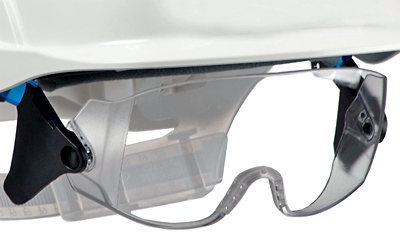 Integrated, adjustable, completely retractable safety glasses feature side-shields and extra bottom coverage for goggle-like protection from particles. 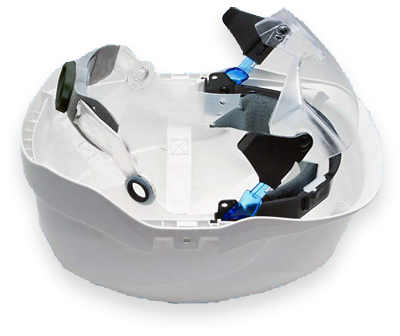 Add optional Ear Defender Hearing Protection for complete head protection. All of this is available in an attractive, comfortable, lightweight package. 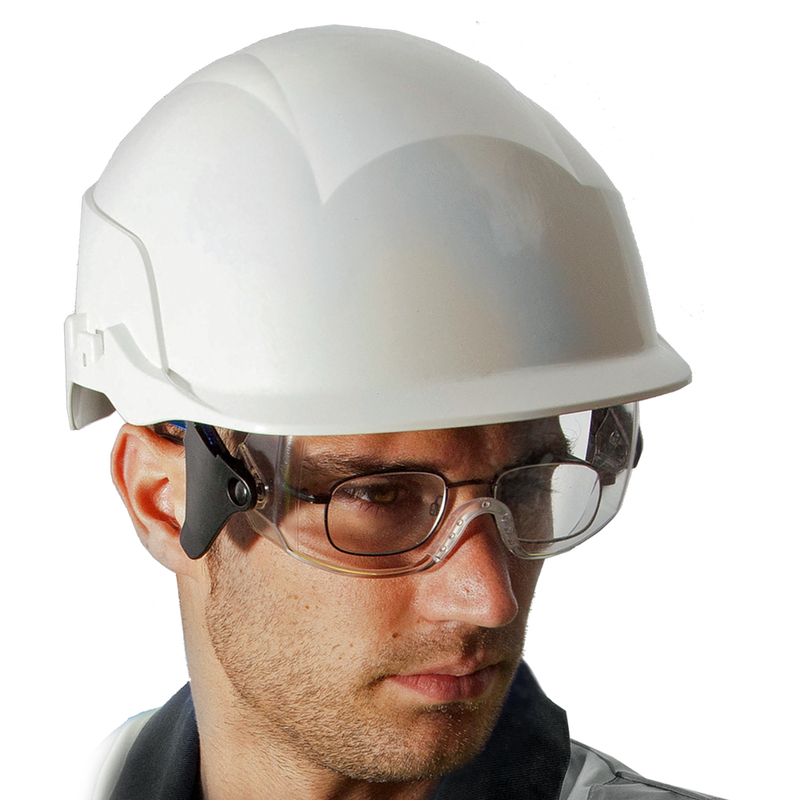 Completely adjustable integrated safety glasses can be moved closer or farther from the face and pivoted for a more comfortable and secure fit. 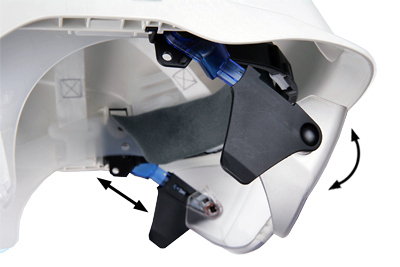 When they’re not required, they can be retracted up into the shell, out of the way. Glasses utilize an anti-scratch, anti-mist coating for optimal visibility and clarity. Details, such as the soft nose bridge, enhance comfort. When required, glasses can be replaced quickly and easily. Spectrum is designed for comfort. Our standard 6-point Terylene suspension provides a comfortable, well-balanced fit. Our Premium Hydro-Flock sweatband is both absorbent and quick-drying. Perhaps most impressive, the entire package weighs as little as 15.5 ounces. Includes Ear Defender Hearing Protection, High-Intensity Reflective Stickers, LED Lamp, Full Face Shields, 4-point Harness, and 2-point Chinstrap. High-quality printing of company logos is available..